What Marquez means is that he’s fought well enough to deserve to be the winner in his three previous fights with Pacquiao, but the judges have given it to Pacquiao in two of those three fights while scoring their first fight a draw in 2004. If Marquez is going to win this fight on December 8th against Pacquiao, he’s going to have to really whip him to where not a soul could even think about giving it to the Filipino fighter because of the huge of flack that they would receive if they did so. Marquez needs to be a lot more aggressive in his past three fights with Pacquiao if he wants to take the judges out of the fight. It’s helpful that Marquez realizes that he’s going to have to fight with a lot more aggression because simply showing that he’s the better ring technician isn’t enough to sway the judges. 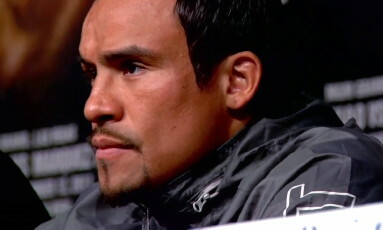 Marquez has go after Pacquiao and land a lot of power shots in every round to keep the judges on his side. Marquez had the better size and power last time he fought Pacquiao in November last year. If Marquez can come into the December 8th fight with the same kind of strength and power, he should be able to get a decisive win as long as he’s aggressive enough to win over the three judges. Pacquiao will likely be trying to steal the rounds in the last seconds in order to make up for his lack of work earlier in the round.